This non-resorbable, stabilized collagen tissue patching material is well-suited for surgical reconstructions and repair. 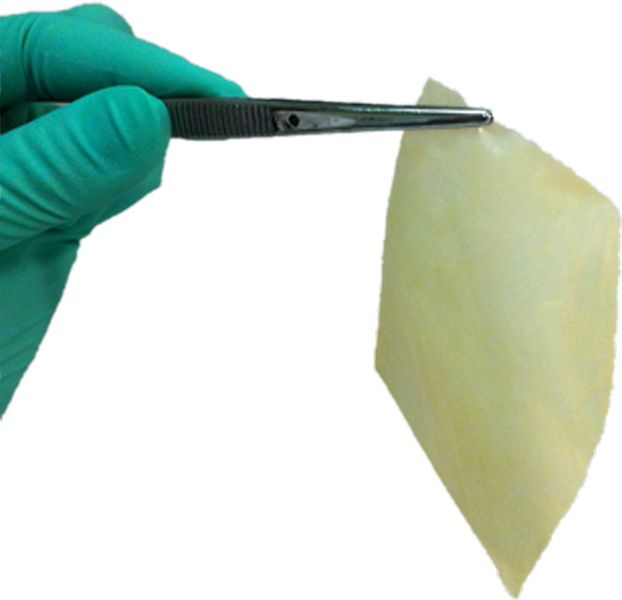 PeriSeal™ is a non-resorbable stabilized collagen-tissue patching material cut from porcine pericardium. It is used in soft tissue patching applications or wherever additional structural support is required. Avalon Medical’s proprietary processing yields an acellular, cross-linked tissue with exceptional strength, elasticity and biocompatibility properties. 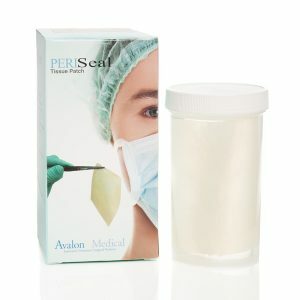 PeriSeal™ Tissue Patch is intended for use as surgical patch material for soft tissue reconstruction and repair as well as suture line buttressing during general surgical procedures. 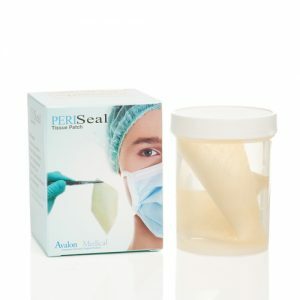 PeriSeal™ can be used in cardiac reconstruction and hernia repair in addition to abdominal wall and thoracic wall defect repairs. PeriSeal™ is available in three sizes and is easily trimmed. Please refer to the chart below for sizing information.